CSD Framing has been in the custom framing business for over 20 years. We like to think of ourselves as high end, quality frame makers. 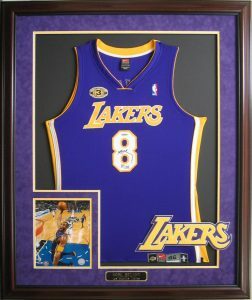 When you when custom frame your own memorabilia or purchase memorabilia from our shop, we want our customers to know that they are getting something one of a kind. Our custom framed pieces range from sports/entertainment, art, and fond memories. Each of our pieces is designed to be unique and unlike other framed work you may have already seen. That’s why we are trusted partners and preferred frames for over a dozen professional sports teams throughout the country. So if you decide you want to have an idea for custom frame piece or purchase something from our memorabilia shop, you know that you are getting quality that cannot be matched by other framing business. Visit our site to view some of our work and to get started on your custom framing journey! 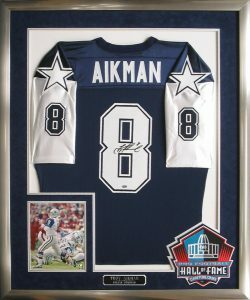 This entry was posted in entertainment, Hall of Famers, History, Memorabilia, Sports, Sports Items, Uncategorized and tagged autographed memorabilia, custom frame, Football, memorabilia. What You Can Expect at the Auctions this Year.